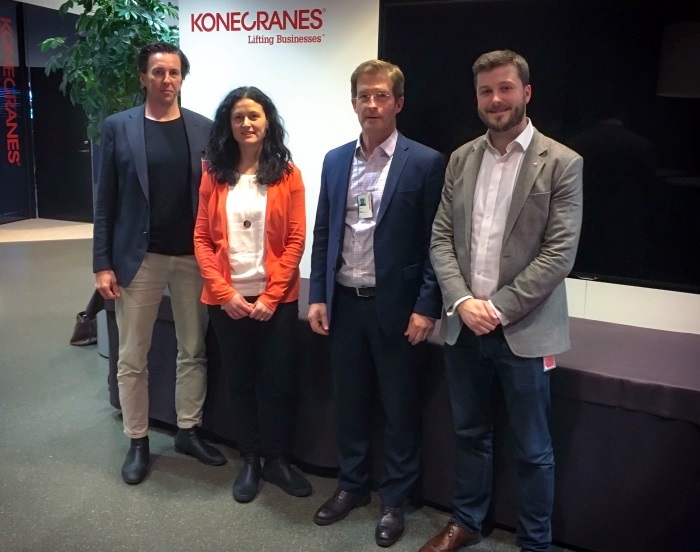 Konecranes selected four of the startups from REACH applications, and gave one fast pass to a startup found from Slush. Konecranes REACH Program’s finalists were CargoMate Technologies, DeepEyes, Nyris, Visualix and Xetal. All solutions had potential, but CargoMate Technologies and Nyris were the top two solutions that will proceed to pilots in early 2019. CargoMate Technologies provides shipping companies and vessel operators full visibility of cargo operations and predicts the earliest time a ship can leave port. “We are absolutely delighted to be partnering with Konecranes on a port call optimisation pilot programme. It is incredibly exciting for us as a startup to find a partner who shares our vision for digitally enabled ships and ports and our passion for creating a safer, more efficient, and environmentally sustainable maritime sector,” says Nick Chubb, Head of Growth at CargoMate Technologies. Nyris is specialized in processing visual data. The provided technology uses an image recognition engine that is based on the latest AI solutions, deep learning frameworks as well as classical computer vision. The technology can be used for instance to recognize different types of products or spare parts in less than 1 second. “We are thrilled to have won this competition and very impressed with the speed and fantastic organization of the whole process and event. Pitching at Slush in front of decision makers, fast tracked and flown back to Helsinki within a week – this is very much startup speed. We are absolutely delighted to start working with such an open-minded and smart team. Having had the opportunity to try our ‘crane-operating-skills’ with the Mobile Harbor Crane simulator during the finals day was a definite winner for us,” describes Bettina Brown, Head of Customer Success at Nyris.